Born in Saffre, northwestern France, in a middle-class family, Ripaud enrolled as a sailor, aged 11, on the Le Palmier. After many adventures, he settled in Mauritius, where he married and had two children. In 1797, hearing of Le Grand Tipu Sultan, he sailed from Mauritius (then called Ile de France) to Mangalore and sought a meeting with the sultan, promising “to raise a large force in Mau­ritius and put it at Tipu’s disposal”. 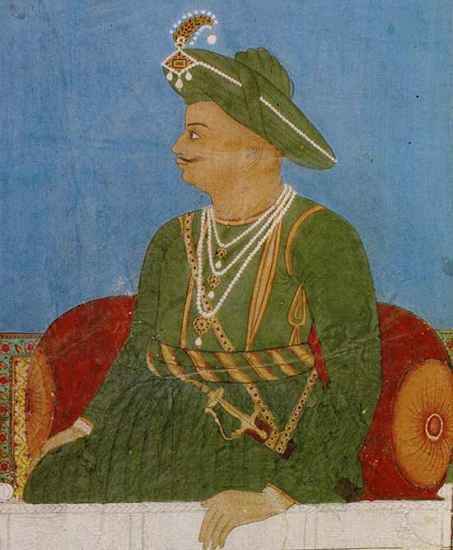 Tipu, who had an early connection with the French, having been instructed in warfare by French officers in the employ of his father, jumped at the idea and gave Ripaud letters of credential. On August 19, 1798, Ripaud came back to Mauritius and made a proclamation seeking volunteers for an “expedition to travel to Mysore to assist Tipu in his resistance to British encroachment in south India”. It must be noted that, two months earlier, Napoleon had invaded Egypt and dreamt of establishing a junction with India against the British, so the governor of Mauritius received instructions to collaborate and Ripaud was able to sail to Mangalore with a shipload of French soldiers who were welcomed there like heroes. Life at Tipu’s court was a dream for our hardy adventurer, but he began to have some misgivings. In his diary entry of January 14, 1799, he writes: “I’m disturbed by Tipu Sultan’s treatment of these most gentle souls, the Hindus. During the siege of Mangalore, Tipu’s soldiers daily exposed the heads of many innocent Brahmins within sight from the fort for the Zamorin and his Hindu followers to see.” Even so, he cast his doubts aside and put up for Tipu’s benefit a dem­onstration of the egalitarian political ideas of France: in 1799, a French paper entitled ‘Proceedings of a Jacobin Club formed at Seringapatnam by the French Soldiers in the Corps Commanded by Francois Ripaud’ was found in Tipu’s palace. It listed 59 Frenchmen in the pay of “citizen Tipu” and described a “primary assembly” of May 5, 1797, to elect a president (Ripaud) and other office-bearers. The ‘Rights of Man’ were proclaimed and the sultan formally received a small delegation from the club. After this interval, we find another diary entry in which Ripaud is appalled at what he witnessed in Calicut (Kozhikode): “Most of the Hindu men and women were hanged...first mothers were hanged with their children tied to their necks. That barbarian Tipu Sultan tied the naked Christians and Hindus to the legs of elephants and made the elephants move around till the bodies of the helpless victims were torn to pieces. Temples and churches were ordered to be burned down, desecrated and des­troyed. Christian and Hindu women were forced to marry Mohammedans, and similarly, their men (after conversion to Islam) were forced to marry Moha­mm­edan women. Christians who refused to be honoured with Islam were ordered to be killed by hanging immediately.” These events were corroborated by Father Bartholomew, a famous Portu­guese traveller, in his memoir, Voyage to East Indies. A disgusted Ripaud left Seringapatnam and went back to France, where he obtained captainship of a fine fighting ship, the Shapho. On February 23, 1814, fighting an English frigate, Ripaud had his arm ripped off by a cannon ball. He died the same evening. Even the British, his arch enemies, gave a 21-cannon salute to this brave adventurer, once Tipu Sultan’s ‘Great White Hope’. Next Story : Pearly Gates?